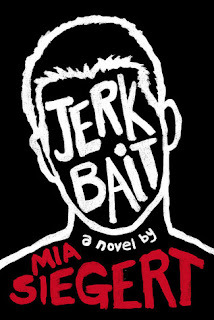 I am honored to be part of the blog tour for Jerkbait by Mia Siegert, since I knew I simply had to read it the second I heard about it over on twitter a while ago. When Mia tweeted about the blog tour, I knew I had to participate, and luckily I got in. I had truly high hopes for this one so check out my review below to see what I thought, and below that, check out the exclusive deleted scene that Mia sent me so I could share it with you! Jerkbait surprised me in many ways, not in negative ones, rather contrary. Reading the blurb I was sure this would be an emotional read, but I didn't expect just this level of depth in terms of emotions and insights into the life of the amazing twins Tristan and Robbie. I've not read any other novel that featured twins as protagonists, so that in itself was already an interesting experience, especially since the two are so different. I admit, it took me around two chapters to really, really get into the story, but once I did, I couldn't stop and thus devoured Jerkbait in just under 12 consecutive hours with merely a few short breaks for food or e-mails. 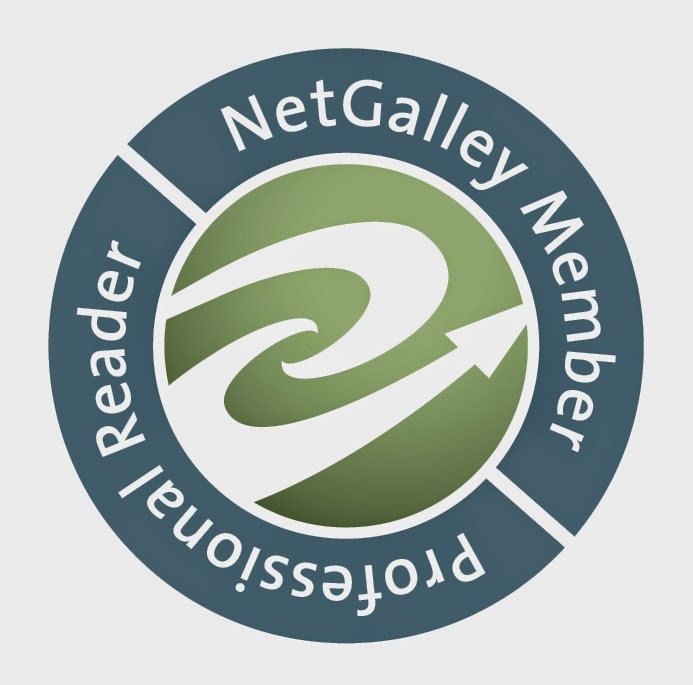 The story is utterly intriguing and captivating thanks to Tristan's voice and the plot itself, the way certain things and his thoughts are described. I love how, across the novel, the way he thought and felt about his brother started to change and how he also slowly learned new things about himself through it. If we're already talking about Tristan, I absolutely loved him and felt for him so hard. For so many years he felt like the shadow his family barely acknowledges next to his brother, pushed into a life that wasn't quite what he wanted. While his father wanted him to be a hockey player like his brother, Tristan wants to be an actor and play in musicals, which is truly unique and I've not seen it in any other book I've read so far. Tristan also writes stories, which we get to read a few snippets from. They are really good and fit into the story perfectly. I really liked the fact that Tristan really felt like an actual eighteen year old boy with logical and relatable trains of thoughts, which I always greatly appreciate in YA stories. He was a character with layers and hobbies, adding to the whole point of him feeling like an actual person and not just a flat character to fit the plot. Robbie, Tristan's twin, was also a really intriguing character and I felt even more for him. He was plagued by struggles and insecurities driving him to suicide attempts and an online friendship. He felt like he couldn't ask anyone for help since his parents refused to acknowledge his suicide attempts as such, and being gay in a sport like hockey isn't really taken too positively, as shown through the way their school and team mates react to the news. I felt so bad for him and wanted to just give him a hug for more then half the story. He was a wonderful character that, just like Tristan, felt real, which I very much appreciate. Honestly, I have no idea when it comes to any and all things hockey, but I'd totally walk around wearing a jersey showing off their numbers and names because I love these two just that much. As mentioned before, the plot of Jerkbait is amazing and unique, because of the twin aspect and also because of how important hockey is to their parents, and Robbie, and how much Tristan loves musicals. Seeing those two play into the plot, the way everyone, especially their parents, react to the news of Robbie being gay, it's both utterly heartbreaking but also truly realistic in every way because, in real life, people are not accepting just like that. Being a gay athlete, it's something our world seems to still be struggling with way too much, so I loved how well it was shown in this story, but also the fact that it doesn't make you any less of a good athlete and person. Lastly, I really enjoyed Mia Siegert's writing style a lot. I love the way she showed certain scenes, described trains of thoughts and emotions, created remarkable characters and a plot that will pull you in and not let you go even after you're done reading. She definitely made it onto the list of authors whose books I will buy asap after their release, or try to get my hands on ARCs, because I think she's just that good. All in all, I truly enjoyed Jerkbait a whole lot. It's captivating, intriguing, entertaining, unique and honest in so many ways. It shows just how hard it can be to be a teen nowadays, how hard it is to live under the ambitions and pressure of your parents and everyone around you, and how hard it can be to chose or say that right thing. It's a fantastic read that I definitely recommend to everyone. I give Jerkbait by Mia Siegert 5 out of 5 stars. Our parents didn’t ask us why we came home early that night instead of staying over. I was grateful for that. The last thing I wanted was her calling Heather’s mom and asking her what happened and why we were home. They could have assumed that Robbie had a freak out or something, and I was doing the responsible thing by escorting him home. I’d bet money that they wouldn’t think it had anything to do with me. Robbie walked to the stairs, looked back at me, and told me to make popcorn and get some Coke. I was usually bad at making popcorn, growing bored watching the bag slowly pop and inflate. Waiting for the four-second pause was impossible, so usually I’d pull it out prematurely, tear the bag open to a few minuscule bites and an abundance of kernels. Other times, I’d go to do something else that’d only take a second and return to the beeping of the buzzer letting me know the four minutes was up and I’d not only made charcoal but set off the smoke detector as well. Tonight, however, I did it right. When I poured the popcorn into a bowl, there were only a few kernels and the popcorn was soft and light. With a sprinkle of salt, it was ready. I went upstairs to my room and saw Robbie at his computer waiting for me. “I downloaded the movie for you,” he said. Seriously?! This day was so unordinary, and it was weird that my perception of my twin was changing. I guess really it wasn’t Robbie’s fault that Mom and Dad thought he needed someone to watch him, and he did offer to cover me. Robbie hit play, then turned the lights off. We climbed up to the top bunk and popped our sodas open. The Phantom of the Opera opened with an auction. The old viscount started to sing about a monkey figurine, questioning life versus being dead. Then the screen lit up, explosions everywhere. The overture was booming, the organ haunting and loud. A gigantic chandelier was unveiled. The hair on my arms stood straight out. This wasn’t like anything I expected. Each song had new meaning with the actions to accompany it. It was heartbreaking, and terrifying. Christine was so beautiful, and so fearful. Christine’s struggle to decide whether to fall for the Phantom, who was hated by society, or Raoul, who was the childhood friend, knocked the breath out of me. The lengths the Phantom went to keep Christine to himself, like a possession, was scary beyond belief. I gripped the mattress when the Phantom began killing people left and right, not just a stagehand who mocked him but the fat opera singer Piangi too. The deformed Phantom became the monster that society perceived him as. I was so engrossed that by the time the film ended, my Coke can was still nearly full, and I hadn’t eaten any popcorn. I still felt like I couldn’t breathe. I wanted to thank Robbie for downloading it, but couldn’t. It seemed lame, like it’d ruin the purpose of what I just saw. Wordlessly, I climbed off the top bunk and set the soda underneath my bed before I got under the covers. It was 1:30 in the morning. Robbie climbed off the bunk just to turn his iMac off before he followed suit. The mattress springs squeaked with his body weight. I wanted to tell my twin goodnight, but we hadn’t said that since we were kids and thought that was what we were supposed to do. I thought about the movie, about how Christine got together with Raoul/Luke Skywalker even though they were best friends. Phantom wanted nothing more than to love Christine and feel love in return. Instead, hated by everyone, he became the monster society perceived him as when all he wanted was a little affection despite his physical deformities. I thought about Heather and how she was my best friend, yet she was dating Durrell. But the parallels weren’t perfect. Durrell wasn’t a monster. He was popular, a great student, a great athlete, and nice guy. My stomach turned and I felt horrid and ugly and alone. I thought about Robbie and the hockey team. Maybe when he talked about being an outcast he meant he felt the same way, too. Felt that he was alone and ugly, an outcast that was supposed to turn into what society expected of him. An outcast who couldn’t be free. Excerpted from JERKBAIT by Mia Siegert. Copyright © 2016 by Mia Siegert. Excerpted by permission of Jolly Fish Press, LLC. All rights reserved. No part of this excerpt may be reproduced or reprinted without permission in writing from the publisher.